Plenty of laughs and smiles for your Friday! 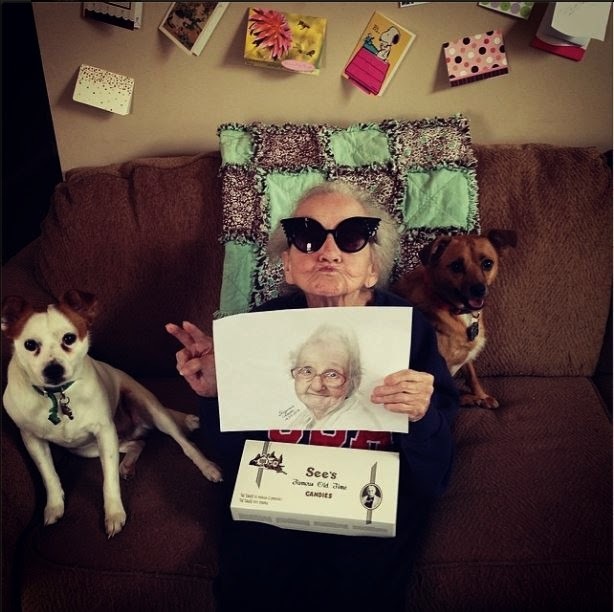 Check out Grandma Betty's Instagram here. Grandma Betty's 18-year-old great grandson started an Instagram account to boost her spirits when she was diagnosed with lung cancer in December. Over the past few months, she's reached more than 350,000 followers! There's story time, there are videos, there are costumes, there's the Harlem Shake - enough said. If I was wealthy, I would get a Kalelicious smoothie from Whole Foods every day. Since I wince every time I pay $6.99 plus tax for that not-large-enough cup of green goodness, I've decided I'm going to try to make a similar version at home. Now, I haven't tried it yet because cleaning and chopping up kale takes a long time, but I made quite the discovery at Target last night: FROZEN KALE. Perfect for smoothies! After some Googling, I found a blogger who said the frozen version of the super-star green actually works better for smoothies and makes them taste less kale-y. Here is recipe that's inspired by the Whole Food's version. 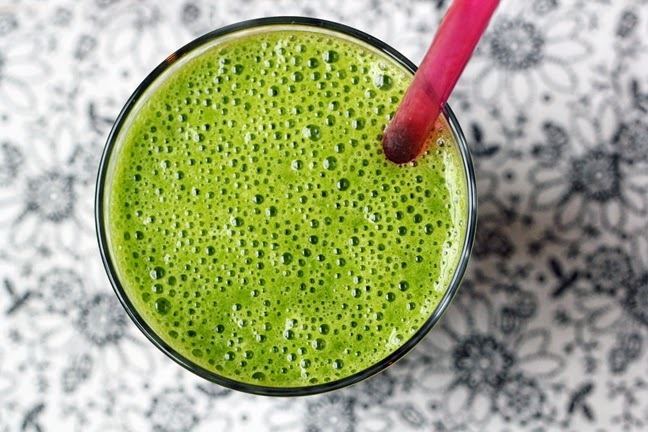 Whipping up that kale smoothie will help you get to seven servings of fruits and veggies, because according to this study, it could help you live longer! The study, out of the UK, found that people who ate at least seven servings of fruits of vegetables daily had a 42 percent lower risk of death from all causes. Eating vegetables showed more of a health benefit than fruit. 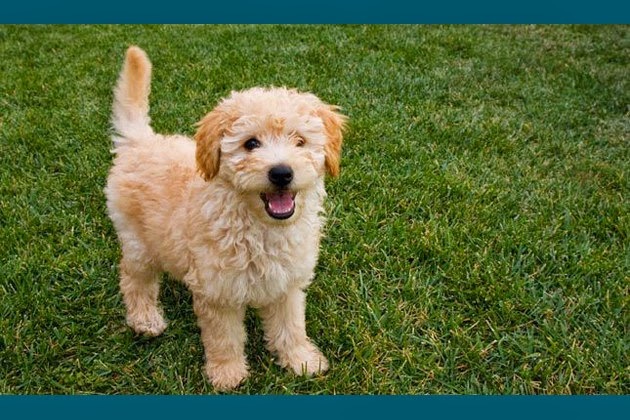 A Huffington Post writer shares here five reasons why every girl should own a dog. Y'all, seriously, this show is hilarious!